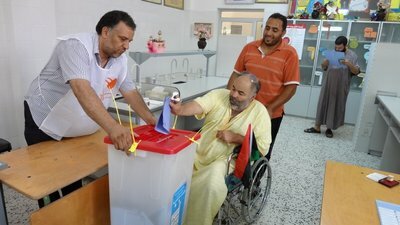 A voter casts his vote on election day in July 2012. 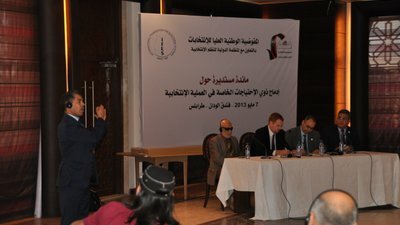 Panelists speak about the importance of electoral accessibility at a roundtable for disabled people’s organizations (DPOs) and electoral management officials, held in May 2013. 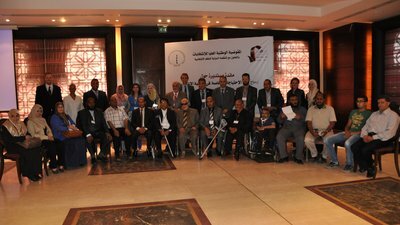 These panelists spoke about the need for and importance of electoral accessibility at a roundtable conference for disabled people’s organizations (DPOs) and electoral management officials.